After the mistake of first trade (got it too early), I decided to give it another try, as market looked really strong today. I got in NQ futures around 1035am. And that was a better trade. 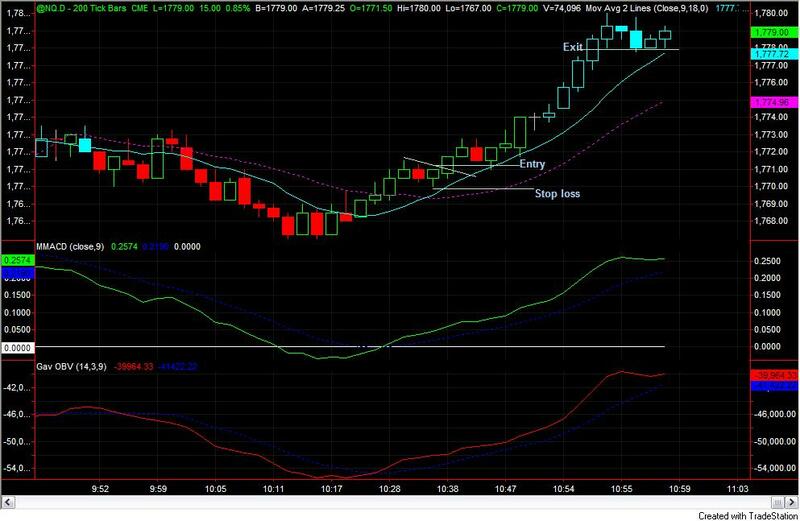 Since the medicine was running in my body, I decided to use moving average to trail my stop and get out the trade fast. Not so bad, second trade closed with +6.51 R gain. I think it is good enough for this sick trader. Alrite, time for me to get some sleep now.